Hello and welcome to my personal Web site. 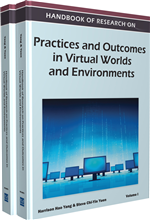 I am Dr. Steve Yuen, Professor Emeritus of Instructional Technology and Design at The University of Southern Mississippi in Hattiesburg, Mississippi, United States. I hope you enjoy your visit and find my Web site useful to you. I have published extensively in international/national referred journals, co-edited books, written grant proposals, delivered keynote addresses, conducted seminars and workshops, and presented over 220 papers at international/national/state conferences. 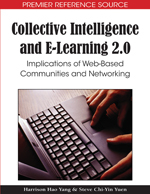 I am the co-editor of three books, “Collective Intelligence and E-Learning 2.0: Implications of Web-Based Communities and Networking,” “Handbook of Research on Practices and Outcomes in E-Learning: Issues and Trends,” and “Handbook of Research on Practices and Outcomes in Virtual Worlds and Environment,” published by IGI Global these past three years. During my tenure at USM, I received a distinguished Senior Fulbright Scholar award to Taiwan in 1992. I was named 2002 Mississippi Technology Educator of the Year by Mississippi Educational Computing Association. Also, I was given the “Excellence in Teaching Awards” twice (1997 and 2004), a “Mentoring Award” as well as a “Service Award” in 2005 by USM. Just very recently, I was named the HEADWAE award recipient for the 2010-2011 academic year. The HEADWAE award is given annually to a faculty member who has exhibited outstanding accomplishments in the areas of research, teaching and service from each member institution of the Mississippi Association of Colleges. I have held numerous officer positions and committee memberships at international/national/state levels. I was the past president of Chinese American Educational Research and Development Association (CAERDA), the Founding President of Society of International Chinese in Educational Technology (SICET), as well as a board of director of Mississippi Educational Computing Association (MECA). 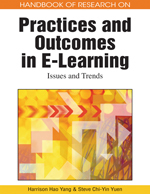 Currently, I am the co-editor of International Journal of Technology in Teaching and Learning (IJTTL) and Journal of Educational Technology Development and Exchange (JETDE) and has served on the editorial boards of Global Chinese Journal on Computers in Education, Occupational Education Forum, and International Journal of Vocational Education and Training. Great presentation today. Very intuitive and realistic since you are implementing technologies with contents in the classroom already. With the right business model, your ideas may kick off into a real time business! On the blog, it mentioned PicMonkey and PickMonkey. Is PickMonkey another program differ from PicMonkey?